On 17th October 2013 the Bishop of Derby, the Rt Revd Alastair Redfern, received answers to written question on the topics of civil service corporate credit cards, freedom of religion and the United Nations. 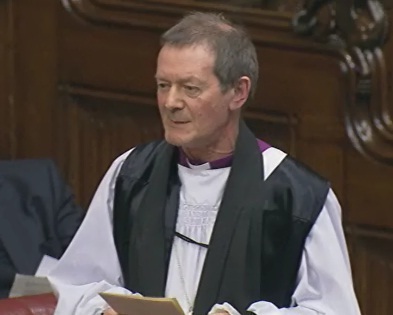 The Lord Bishop of Derby: To ask Her Majesty’s Government what are the rules and criteria for the issuing of corporate credit cards to civil servants; and how the use of such cards is monitored and audited. Lord Gardiner of Kimble: The Government Procurement Card (GPC) is a payment charge card used for making low value purchases. Its proper use contributes to making efficiencies. All Departments have a clear policy for card allocation. The GPC Steering Group, established after the last General Election, has developed minimum policy standards for central Government departments and their Arm’s Length Bodies (ALBs). GPC Central Policy describes the roles and responsibilities for personnel that are required to govern and control local GPC programmes. These policies have been shared with the National Audit Office (NAO) and must be followed by all departments using GPCs. Before the last General Election there was no central oversight of Government GPC card use. All Departments now operate compliance checking processes which include transaction logs that must be reconciled with bank statements and receipts each month; and the requirement for budget managers to reconcile GPC payment to ensure compliance with approved spend. The departmental controls, in accordance with GPC policy, include monthly compliance checking, including identifying off-contract spend and clear guidance for users on the correct route-to-buy. All spend on GPCs over £500 is now published.